Malaysia is known for its beaches, rainforests and mix of Malay, Chinese, Indian and European influences. The sprawling capital, Kuala Lumpur, is home to colonial buildings, busy shopping districts such as Bukit Bintang and skyscrapers including the iconic, 451m-tall Petronas Twin Towers. Here are 100 reasons to visit Malaysia. The most scenic feature of the two identical towers is the highest skybridge in the world, connecting the two giants. The bridge is open to the public . The Petronas Towers, also known as the Petronas Twin Towers, are twin skyscrapers in Kuala Lumpur, Malaysia and can be visited every day at certain times. Don't miss out on the most amazing view of Kuala Lumpur. The Kek Lok Si Temple is a Buddhist temple situated in Air Itam in Penang facing the sea and commanding an impressive view, and is one of the best known temples on the island. It encompasses a big area and the temple is also accompanied by a thirty meter tall statue of Kuan Yin who was a very important figure in Buddhism. The temple's Chinese New Year celebrations are particularly impressive. For thirty days following Chinese New Year, the temple remains open until late at night whilst thousands of lights turn the scenery into a sea of light. Families can visit Malaysia in order to have some fun time together away from the busy, hectic lives that does not allow them to get together and enjoy. Visiting the Sunway Lagoon is a good option for families and there are many more parks to visit. Completed in 2004, this bridge is built atop the Machinchang mountain ranges, and suspended from an 82 metre high single pylon, it hangs at over 100 metres above the ground. A truly unique spatial experience, the Skybridge offers you the chance to walk above wild jungles with breathtaking views. It may not be the cheapest South East Asian country, but Malaysia offers great value for money. Prices are more than reasonable in comparison to Western standards, and the quality of accommodation and transport is excellent. With the Malaysia Ringgit (RM) dipping to a record low, it is a good time to get a good exchange rate for your currency. Fewer touts and no attempted scams. Malaysia is a well-worn travel path. Whilst not everyone in Malaysia speaks perfect English, most are able to understand and communicate enough English to help tourists get by. The Mulu Caves are located in the Gunung Mulu National Park in East Malaysia. The Sarawak Chamber that is found within the Mulu Cave system is the world’s largest cave chamber in the world. Malaysia has over 800 islands along its coastline. Needless to say, that’s a lot. There is no spring, summer, autumn or winter. Every day is a sunny day. The temperature stays pretty much constant all year round. Of the shopping malls, Berjaya Times Square is perhaps the KL's most bizarre. It is, as custom dictates, terrifyingly large and full of all manner of places to shop and eat. But it is also a five-star hotel. George Town is the colorful, multicultural capital of the Malaysian island of Penang. Once an important Straits of Malacca trading hub, the city is known for its British colonial buildings, Chinese shophouses and mosques. Beyond the old town, George Town is a modern city with skyscrapers and shopping malls. Verdant Penang Hill, with hiking and a funicular railway, overlooks it all. Redang Island is located off the state of Terengganu in the east coast of Peninsular Malaysia. The Malaysian art scene is slowly but surely becoming more and more vibrant. Using both local and international treats. Malaysia's mosques are less restrictive on entry, and as long as you're appropriately dressed and not turning up during prayer time, you'll be allowed into the Masjid Negara (National Mosque). When most people talk about visiting Malaysia, they are actually only really referring to Peninsular Malaysia. But there is a pretty much a whole other country across the water: Malaysian Borneo. Borneo is a lot more traditional and rugged than the mainland and also boasts the best diving in the country. It’s a peaceful, friendly country, where you can drink the tap water. The roads and hospitals are good. The limestone forming the Batu Caves is said to be over 400 million years old. Originally designed as a place of worship, the site is a short 13-kilometre drive from KL, and is a natural wonder to behold. 272 concrete steps lead the way into the mountains, to cathedral caves housing a 42.7m high golden statue of Lord Murugan (a Hindu deity), and a few hundred monkeys! When was the last time you were eating at an restaurant and were entertained by the antics of a frolicking group of wild monkeys? Rambutan has got to be one of the world’s coolest fruits. It’s red or yellow, covered with a thick almost spiny hair and tastes great. Durian on the other hand is just an interesting, odoriferous experience. You will find temples next to mosques and churches next to temples. You can celebrate Christmas whilst preparing for Chinese New Year. You will get to experience the craziness and wonder of the Indian Holi festival or the intensity of the holy month of Ramadan. You want to enjoy a cup of tea in an authentic British colonial house overlooking the most beautiful and biggest tea plantations in Malaysia? The Cameron Highlands were named after Sir William Cameron, a British surveyor, and are located right in the heart of the Malaysian peninsula. The Cameron Highlands is one of Malaysia’s most extensive hill stations. The size of Singapore, it occupies an area of 712 square kilometres. To the north, its boundary touches that of Kelantan; to the west, it shares part of its border with Perak. Malacca is a little pearl located just before the Strait of Malacca. It has been under occupation ever since 1509, first by Portuguese settlers and then later by Dutch, French and British. Every occupant ended up contributing a little bit into what Malacca is known for today - a colourful and vibrant place, full of cultural heritage that has even been recognized by UNESCO in 2003. It is always one of the first races of the F1 Grand Prix season, and the circuit has a reputation for its unpredictable weather. The village of Air Papan is a seaside area with a 3 km long beach set in between the hills about 15 km north of Mersing, Johor. The Kuala Lumpur Tower is a tall tower located in Kuala Lumpur. Its construction was completed on 1 March 1995. 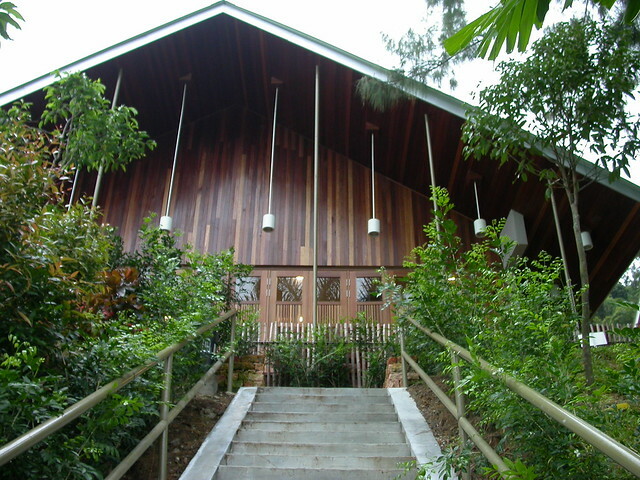 The Semenggoh Wildlife Centre is the biggest Orangutan Rehabilitation Centre in Sarawak; established in 1975 as a sanctuary for the injured and orphaned orangutans. Together with the Sepilok Orangutan Rehabilitation Centre in Sabah this is the most well-known rehabilitation center for tourists to visit. The Putra Mosque, or Masjid Putra in Malay language, is the principal mosque of Putrajaya. Construction of the mosque began in 1997 and was completed two years later. Gopeng is a town located in Mukim Teja, District of Kampar, Perak. It is situated approximately 20 km south of Ipoh, the state capital. The town is located on the west side of the North-South Expressway stretch of Tapah-Simpang Pulai. Add a dash of beach romance to your honeymoon by staying at Langkawi and enjoying the beauty of sun setting over the crystal clear waters. This is a place to give a break to your adventure spree and just relax with your partner. Apam balik or also known as Martabak Manis, Terang Bulan, Apam Pulau Pinang, Kuih Haji, Min Chiang Kueh, Hok Lo Pan, Ban Jian Kuih or Chin Loong Pau is a type of griddle pancak. Kuala Lumpur is a city that never sleeps; always lively. The city throbs with its numerous fascinating night spots from pubs, discos, dance clubs, jazz bars and karaoke lounges. Convenience is often synonymous with the Malaysian lifestyle, hence the many night markets, 24-hour mamaks and convenience stores. Malaysia is one of the top 30 most peaceful nations in the world, sitting at number 20, according to the Global Peace Index 2012. Feel like a kid again! Visit Legoland and Sanrio Hello Kitty Town. Putrajaya is Malaysia's federal administrative centre. Found 25 kilometres south of Kuala Lumpur, it is a feast of egotistical architecture, with a spaceship-like convention centre, numerous palaces, landmark bridges and a pink mosque on the lakeside. Nothing will transport you back to Malaysia's colonial era better than high tea at Carcosa Seri Negara. These hilltop mansions, now a luxury hotel, may as well have pith helmets on top. Malaysia is strategically located within flying distance to many other countries, making it great for regional travel. Malaysia has an estimated 20% of the world’s types of animal species. 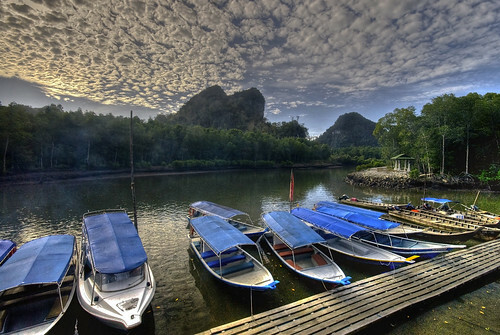 Kenyir lake is one of the largest man made lake in South East Asia created in 1985. It has 340 islands. You can book yourself an island hoping tour or stay at the house boat. In any shop that isn’t part of an large national or international chain, you can bargain the price down. Malaysia's many national parks are surprisingly close to major Malaysian cities: from the capital Kuala Lumpur, the 800-acre wetland reserve known as Kuala Selangor Nature Park is only two hours' drive away. Taman Negara, the country's oldest national park, can be reached by rail. The Lost World of Tambun is Like a Real-Life Jurassic Park. Its eleven states are crammed with adventures, whether you're after great street food or a face-to-face encounter with endangered species or a walking tour through a centuries-old city. Tioman Island is a small island in Pahang. It is located 32 km off the east coast of the state, and is some 20 km long and 12 km wide. It has eight main villages, the largest and most populous being Kampung Tekek in the north. Sipadan claims to be one of the best diving spot in the world. This is a shopper’s paradise, it is one of the main reasons why people flock to Malaysia. You will find some of the best shopping malls in the world, if you’re a shopaholic then you will not be disappointed. You don’t have to go far to find five-star luxury, and even some over-water bungalows. Jalan Alor is wall-to-wall cafe terraces and food stalls, most with plastic seats and tablecloths. The Langkawi Cable Car, also known as Langkawi SkyCab, is one of the major attractions in Langkawi Island, Kedah. St. Paul's Church is a historic church building in Malacca, Malaysia that was originally built in 1521. It is located at the summit of St. Paul's Hill and is today part of the Malacca Museum Complex comprising the A Famosa ruins, the Stadthuys and other historical buildings. Kuala Gandah Elephant Orphanage Sanctuary, Pahang is a rare and fantastic opportunity to get up close to endemic Malaysian elephants. This truly unique Elephant Orphanage of Kuala Gandah in Pahang will give you a very rare opportunity to learn about these displaced gentle giants. Get the chance to ride them through the jungle, with the help of an elephant guide, or mahout. It's not just Bukit Nanas where wildlife holds sway. The KL Deer Park in the Lake Gardens has various species of deer ambling around, while the Bird Park and Butterfly Park are nearby. Starting from humble origins as a tin mining town (the name literally means "muddy estuary", not a title you'd want to bestow on a major world city), Kuala Lumpur rapidly modernized in the 80s and 90s to become a major regional trade, entertainment and retail center. Genting Highlands is good for more than just a shot at the casino pot: the hill resort on the border of Selangor and Pahang states in peninsular Malaysia has five hotels and three theme parks with over twenty attractions all combined. The Tunku Abdul Rahman National Park comprises a group of 5 islands located between 3 km and 8 km off Kota Kinabalu in Sabah. The park is spread over 4,929 hectares, two-thirds of which cover the sea. In the local language, nasi means rice. So yes, this dish includes rice, which is cooked in coconut milk, with a lot of side dishes. Depending on which part of Malaysia you order it, the side dishes will differ. Some are served with hard-boiled egg, sweet and salty fish, chicken, beef, peanuts, cucumber, etc. Though Redang Island isn’t as popular as Bali or the Koh islands in Thailand, it’s one of Malaysia’s best kept secrets. Malaysians are well known for their generous and welcoming hospitality. Terengganu offers a bundle of adventure and water sports activities. You can go hiking or get your hands dirty picking mussel or clams from the river bed. This is true not only in the capital that is interconnected by rapid trains, metro, buses and taxis, but moving around the country is not difficult. KL Sentral offers buses and train connections to distant destinations at very attractive prices. National Museum which serves as a repository for the nation’s rich history and heritage. The museums feature a collection of finest exhibits and arts in Malaysia. Islamic Art Museum, Malay World Gallery, Cultural Museum etc. The Kilim Karst Geoforest Park is developed on the oldest limestone of the country, Setul Formation. 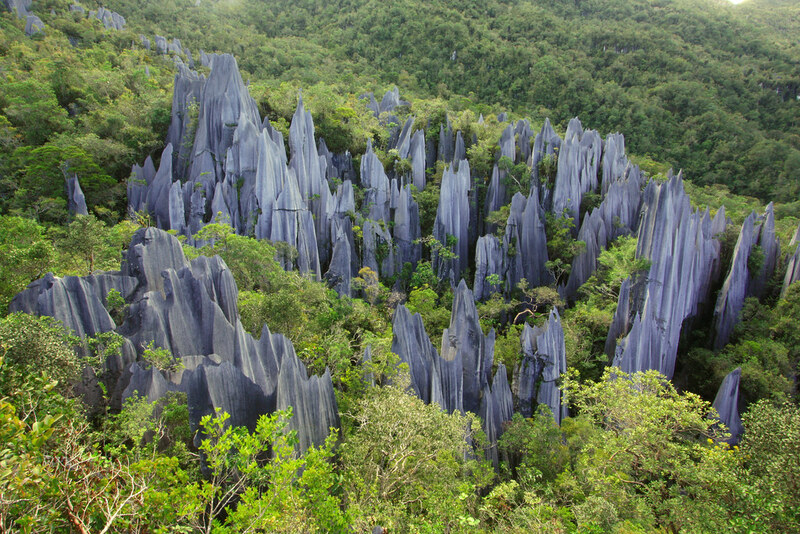 The kilim karst geoforest park featured breathtaking landscapes of nearly vertical karstic hills with pinnacles of various shapes and sizes. On large scale, this park is made of several elongated hills and islands with narrow valleys in between, and these valleys are home to one of the best and unique mangrove forest in the world. The Magnificent Ipoh Railway Station. Ipoh is the capital city of Perak state and also one of the largest cities in the country. It is approximately 200 km north of Kuala Lumpur and 130 km south of Penang on the North-South Expressway. A less vigorously creative outlet can be found at the Kompleks Kraf on Jalan Conlay. It's a tourist-focused craft studio and shop complex, but the workshops on the lower level allow visitors to make their own batik paintings. The Kinabalu National Park is one of the many natural wonders of Sabah. It is also part of the UNESCO World Heritage site and attracts hundreds of thousands of visitors each year. Standing at 4,905 meters, the peak of Mount Kinabalu overlooks most of the park and it is one of the most accessible of its kind. Big Island, formerly known as Babi Besar Island, is an island off the east coast of Johor. It is accessible by boat from Mersing town. The island's highest point rises some 845 feet above the sea level. Masjid Jamek is a colonial-era throwback in keeping with the grand public square that it's next to. The grass in the middle used to be a cricket pitch, while the buildings around it are gloriously mismatched and out of place. It is situated in front of the Sultan Abdul Samad Building. It was here the Union Flag was lowered and the Malayan flag hoisted for the first time at midnight on 31 August 1957. The natives were renowned for practicing headhunting and territorial expansion and had a fearsome reputation as a strong and successful warring tribe in ancient times. Gunung Mulu National Park is located in Sarawak, Malaysian Borneo and is also a UNESCO World Heritage site. The Sarawak Chamber is the largest known cave chamber in the world! It is 700 meters long, 400 meters wide and at least 70 meters high and was only discovered in 1981. Malaysia definitely belongs to those countries with less pollution. Nothing can substitute the delight of breathing fresh air, walking clean streets and seeing clear blue sky above. I think this is very important for us to strive for clean ear and grounds always and everywhere. Chiling waterfalls, located on the path to Fraser's Hill are several waterfalls located in Selangor, Malaysia. The waterfalls are composed of three separate vertical waterfalls. Malaysia Agriculture Park (now known officially as Taman Botani Negara Shah Alam). It is a plant-themed leisure park on the northern edge of Shah Alam, Selangor. If you love the sharks, you will love to visit the Aquaria KLCC located at the basement of KL Conventional Centre. The Aquarium is reputed to be the largest aquarium on the world, you will find about 150 species of fishes here. For a memorable experience, walk through the 90m long tunnel while you watch the fish feeding session. It is also known locally as Bukit Hangus. The hill is very prominent as it is part of Klang Gates Quartz Ridge and can be seen from the Kuala Lumpur Middle Ring Road 2. The hill, which is less than 500 metres, is a quartz ridge. Climbers enter the hiking trail via Kampung Klang Gates, 50 metres from the gates of the Klang Gates Dam, at the back of Taman Melawati for a 3-4 hour climb. Sabah is located along the beautiful coastline of Borneo Island, in eastern Malaysia. It is the best place for couples who love the combination of beach with adventure sports amidst a beautiful landscape. If you want to feel refreshed and rejuvenated during your vacation, there is no better place than Kuala Lumpur. The vibrant city boasts a wide range of spas such as Mandara Spa, Spa Village, the Spa at Banjaran Hot Springs Retreat and many more, where you can spoil yourself with a traditional massage and indulge yourself in divine spa treatments including fitness rituals from ageless Malay culture such as Chinese peranakan, gandapura, nusantara and traditional royal Malay treatment. Being part of a multicultural country is a good excuse to celebrate different festivities all year long–including Chinese New Year celebrations; the popular Thaipusam festival, which attracts thousands of locals as well as tourists; Aidilfitri celebrations; Deepavali, the festival of lights; and the Gawai festival.